Please complete teh required fields. We respond fast. 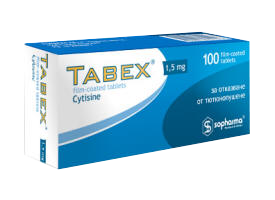 Tabex 100 tablets of 1.5 mg Cytisine - a complete course of 25 days. 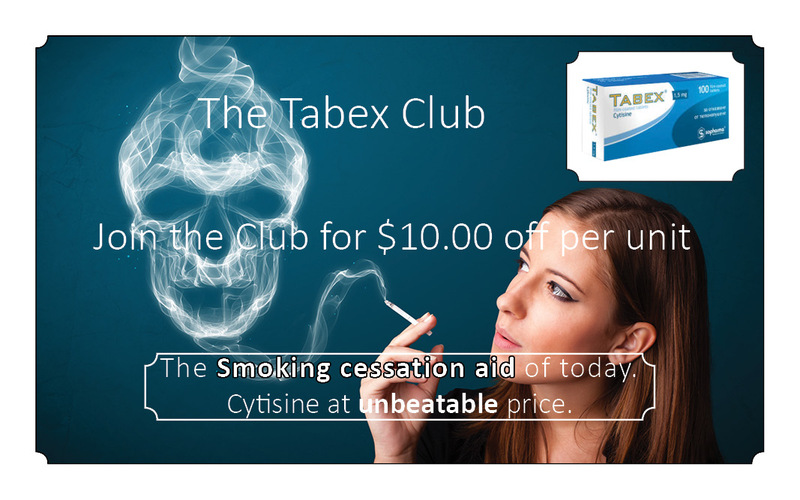 Tabex Membership Club for extreme savings. Not required to order. Other ingredients: Calcium dihydrogenphosphate, Lactose, Wheat starch, Microcrystalline cellulose, Talc, Magnesium stearate. Pharmaco-therapeutic group: Vegetotropic agent - N- cholinomimetic (gangliostimulant). Indications: Chronic nicotinism (tabacosis) - for breaking the habit of smoking. Contraindications: Tabex is contraindicated in arterial hypertension and advanced atherosclerosis. Warning: The clinical studies with Tabex show that the Bulgarian drug is effective and well tolerated. The adverse effects are insignificant in case of adequate treatment according to the schedule and do not necessitate reduction of the dose and shortening the duration of the treatment. The physicians should warn the patients that the simultaneous administration of the drug and smoking could lead to aggravated adverse effects of nicotine (nicotine intoxication). The drug should be used in all cases when the patient has a honest and firm intention to give up smoking. There is not sufficient clinical experience with Tabex administration to patients with ischemic heart disease, cardiac impairment, cerebrovascular diseases, obliterating arterial diseases, hyperthyroidism, diabetes mellitus, renal and hepatic insufficiency. The use of the drug of these categories of patients should be performed only after the potential benefit has been weighed against the possible risks. Pregnancy and lactation: The intraovular application of Cytisine substance to hen embryos induced no embriotoxic and teratogenic effect within the limits of the single therapeutic doses. Higher doses of the drug lead to embryotoxic action. On the base of the experimental data obtained, Tabex is recommended (with Cytisine as the basic component) not to be taken by pregnant women, due to the potential risk of embryotoxic action in case of uncontrolled administration. The drug should not be administered during breast feeding. Effect of the drug on drivers and machine operators: Tabex is considered safe and induces no changes in the physchophysical status, driving ability and machine operation. Drug interactions: No data is available on undesired interactions between Tabex and other pharmaceuticals. Overdose: Symptoms of nicotine intoxication are observed in Tabex overdose. The toxic effects are manifested in nausea, vomiting, pupil dilation, tachycardia, general weakness, clonic convulsions, paralysis of respiration. The communications of overdose with the drug are scarce. Lavage of the stomach, monitoring of respiration, arterial pressure and heart rate are initiated as in all cases of overdose. Infusion, reanimation is undertaken with saline and glucose solutions, anticonvulsants, cardiotonics, analeptics, etc. symptomatic agents. First 3 days: 1 tablet 6 times daily (every 2 hours) with a parallel reduction of the number of cigarettes smoked. Smoking cessation should occur by the 5th day after the initiation of the treatment. After the end of the therapeutic course, in order to have good results, the patient should give evidence of strong will, not allowing the lighting of a cigarette. Undesired adverse effects: The clinical studies showed a good tolerance to the drug and grave adverse effects were not observed. The following adverse effects are rather often observed at the beginning of Tabex treatment: changes in both taste and appetite, dryness in the mouth, headache, irritability, nausea, constipation, tachycardia, light elevation of the arterial pressure. The majority of the adverse effects can abate in the course of the treatment. Supplied: The filmtablets Tabex are packed in PVC/aluminum foil blister strips. Each blister strip contains 20 filmtablets. Five blister strips are packed in a cardboard box together with package insert. 2018 - 2019 by Tabex.net. All rights reserved.